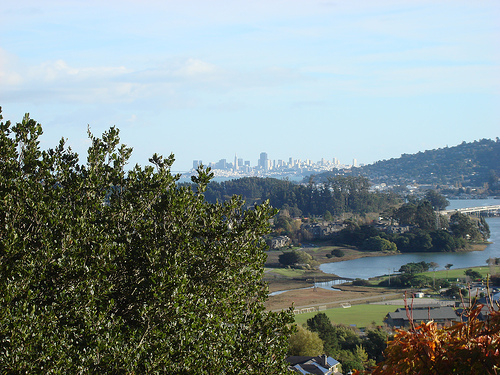 In a few weeks we are moving from our apartment in Manhattan to a house on hill in Mill Valley just north of San Francisco's Golden Gate Bridge. In my mind, I have been staring down from this hill top for weeks- trying hard to see beyond the tree of any one particular human data interface so as not to lose sight of the API forest. I have been playing new console video games of late; specifically, Guitar Hero II for the PS2 and the Nintendo Wii. Both feature controllers that engage a broader range of physical gestures than the usual button pushing fare. With the former, my four year-old son and I get to play lead guitar and bass on Motley Crue's Shout at the Devil: nothing like a proud father watching his toddler son shredding heavy metal riffs. With the Wii, it is as if my wrists and arms- which had been trained over the years to stay dormant at my sides during video game play- have become liberated and can now express themselves like Balanchine dancers. 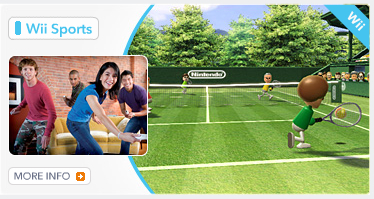 Forget the fact that the graphical sophistication of Wii Tennis and Bowling is far less impressive than even the worst games on Xbox360; we are seeing a new kind of empathy for physical gestures, beyond the typical keyboard, mouse-over and click regimen. This speaks to new forms of engagement. We are half way through the 2006 study of Media Futures. API is the 3rd of 5 elements, and this next chapter within API is a critical switch where we trace the evolution from physical to electronic gestures, from explicit to implicit data. The title, "Poverty and Wealth in the Gesture Economy" comprises two parts: (1) poverty: the visual representation of physical gestures; and (2) wealth: the direct transmission of electronic gestures. I am still figuring this out, but I trust the little voice inside that reminds me to be patient and avoid trying to encapsulate all of these related developments into a single post. The core insight I am trying to communicate is this: however rich we may feel about today's media, the fact is that it is based on a visual representation of our physical bodies with the only direct machine interface being explicit data input from our fingers on the keyboard and mouse. Over the coming months and years, this form of social media will seem poor relative to the far richer substance of Attention based media. New APIs are already emerging that relay passive, implicit data directly across electronic networks without the burden of traditional web cams, search queries, or web forms. It will take some time to trace the full arc of Media Futures, one which begins with organic human automata and ends with synthetic machine arbitrage. The Attention economy is already notorious for rejecting business models that are grafted onto it from the outside, and so our challenge is to look sui generis for revenue streams that always recognize that users are in control and are the primary producers of data value. As we make our way down from the mountain top, we will need to integrate new forms of electronic interfacing with distributed, bottom-up economics. Some of this is already happening in places like SecondLife and World of Warcraft, but both require so much active Attention that they replace rather than express our real-world experiences.